fifteen people , it loads indeed orchestrate all aspects of the three acts of the Laetare . Indispensable work where everything is to anticipate and organize : the course and the order of processions , accompanying bands and external groups , conduct a competition that should cause emulation, event promotion contacts with the authorities, especially security . This is a major concern : scroll in two time three thousand five hundred actors and large vehicles of unbridled celebration among an audience of tens of thousands of people is no easy task, especially in Stavelot with its narrow and steep streets . We must therefore lay down rules , to accompany each group of Commissioners , empower all participants. To carry out its task, the Festival Committee is a true unifying folklore of Stavelot : Preparing asks many general meetings or the smallest details are discussed with the aim of finding a necessary balance between joy and safety. Although it is conducted behind the scenes, this fundamental work should not be underestimated . 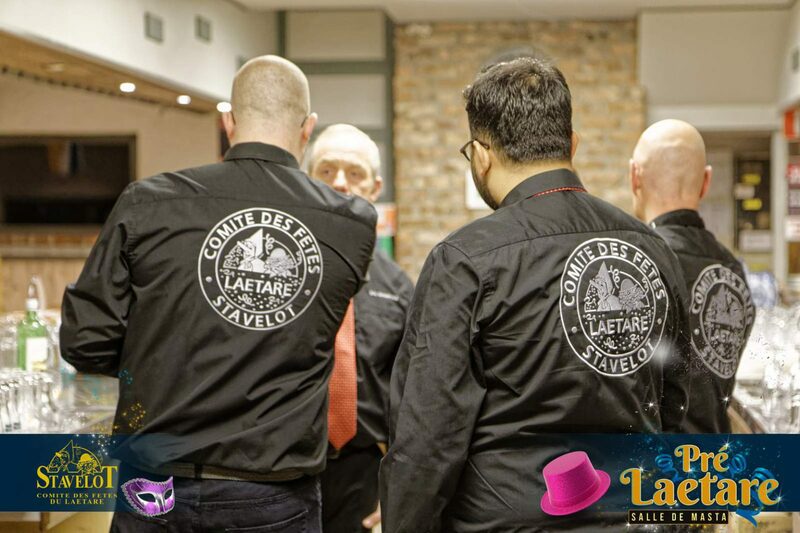 If during the second half of the twentieth century , the star of Laetare climbed into heaven of Walloon folklore, thanks to its quality and constancy . Established in 1958, The Festival Committee is proud to bear the title “Royal” , which clearly highlights the dedication shown therein by several generations of volunteers. Always renewed success of Laetare is that this deep attachment to tradition .